It’s easy to notice the pride Miranda Afrasiabi has in herself for going to college and becoming a Registered Practical Nurse. While Miranda felt guilty for devoting less time to her children as she upgraded her high school marks and then attended two years of college, she knows it was the right decision. “I feel like a million bucks. I never thought I would actually be able to go back and get an education after having three children,” says the 33-year-old Caledonia woman. Miranda has been selected as a 2018 Education Champion by the Education WORKS Alliance, after being nominated by St. Leonard’s Community Services in Haldimand. She received help from St. Leonard’s Employment Centre staff to apply for Second Career, a government program that provides financial assistance for laid off workers to go back to school to start a new career. Miranda lost her job when the Buck or Two dollar store she worked at in Caledonia was destroyed in a September 2015 fire. Resuming her education as an adult wasn’t easy. Miranda had her high school diploma, but her marks weren’t that great. She knew she had to make a better impression if she were to pursue a nursing-related program at college, as there is a lot of competition for limited spots. She started by upgrading her high school credits in chemistry, biology, math and English. She would drop her children off at their school and then go to school herself. 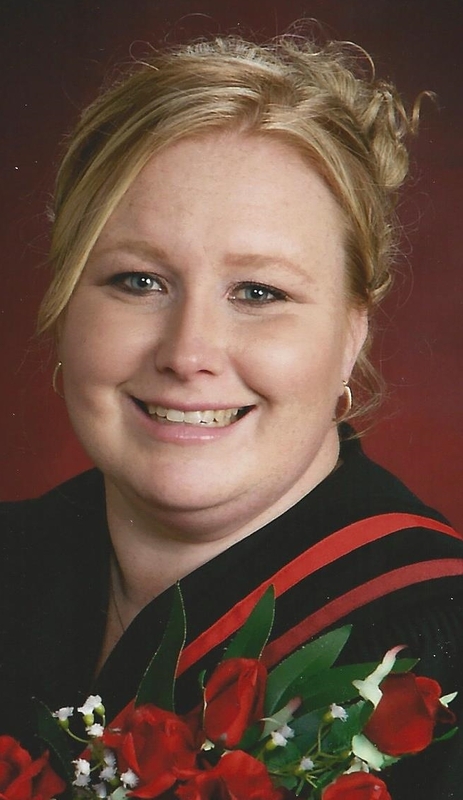 That work paid off and she was accepted into Mohawk College’s 2-year RPN diploma program. “I have a passion to help people and this seems to be the best way to be front and center of people who need help,” says Miranda, who now works part time as a RPN at Norfolk General Hospital in Simcoe. Going to college wasn’t easy, requiring her to juggle family and school work, while living on a limited budget, with some of that money required to pay for childcare when she was away. “I had a great support system of people who were always there to help in any way they could,” says Miranda, who gives a special thanks to her husband, Mark. Miranda is already planning to take additional health-care courses in the future so she can grow her knowledge and experience. Having succeeded in going back to school, she isn’t afraid any more, and she’s become a big believer in the power of take initiative.